The cost of migrating to Windows 7 is more than just the expense of the new operating system itself. There’s also the time, manpower and money required to acquire new hardware, test application compatibility and recode where necessary. If you virtualize your applications before you migrate them, you can save at least 27% on OPEX and CAPEX expenses. The migration process also takes about half the time. 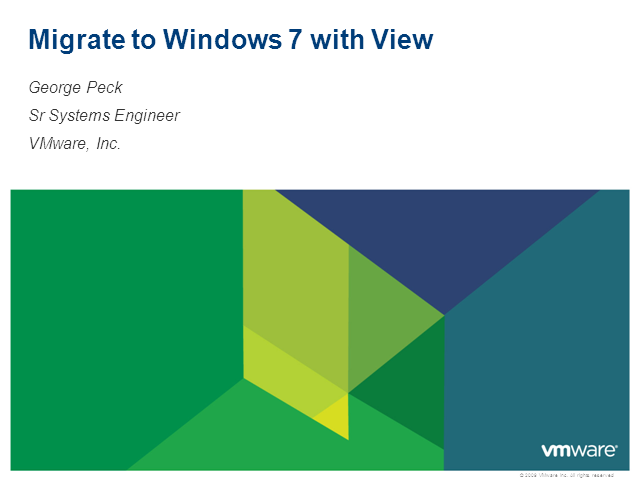 VMware ViewTM is the safest, fastest and most economical way to migrate your applications to Windows 7. View this webcast to learn about these 4 steps!